This past Friday I picked up a 1990 Jeep Grand Wagoneer. It was in Dallas, Tx so I took the Friday off and drove up with my Dad and picked it up. Drove back to Houston with it (~300miles) was a pretty fun road trip! Wagoneer in the driveway after the long day. 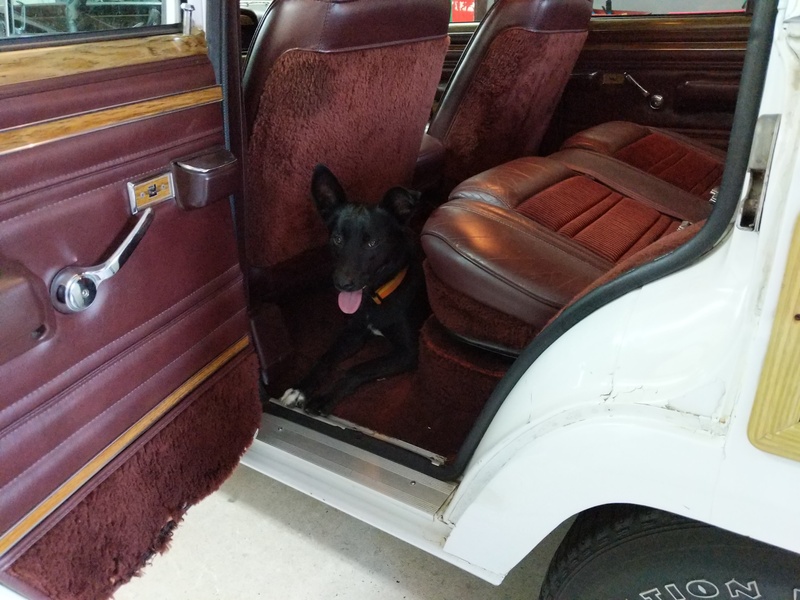 It is a fully loaded Grand Wagoneer with all the trimmings. Everything functions except the rear window wiper and sprayer. The wiper looks to just be a bad wiring and the sprayer is missing from the back. If you know where to get a sprayer let me know….they seem to be unobtainium. 5.9L of raw Murica fury. 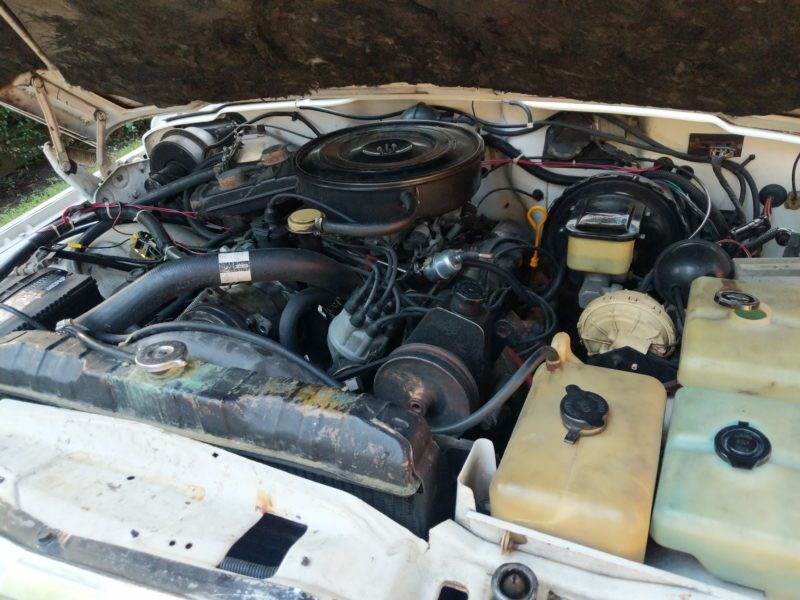 The 5.9L AMC 360 engine is mostly intact and runs ok. The valve seals are blown so the engine smokes a bit on start up. When I got the Wagoneer the oil pressure gauge wasn’t working so I just had to hope it had oil pressure to make it back to Houston. The first thing I did was an engine oil flush and replaced the oil pressure sender and wire. Engine idles at 40psi cold and ~10psi hot. The hot 10psi is not ideal but it does have 188K miles on it. I am debating rebuilding the oil pump or just leaving it. 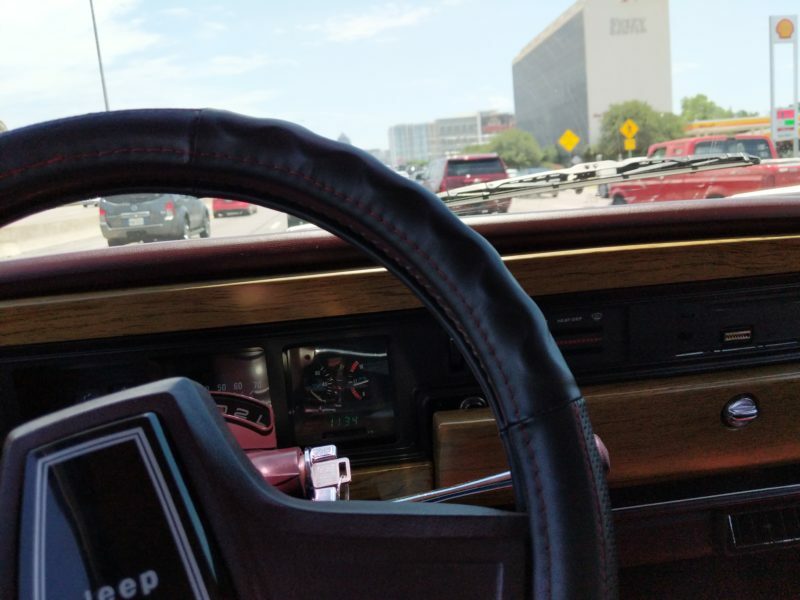 Stuck in Dallas traffic after picking up the Wagoneer. 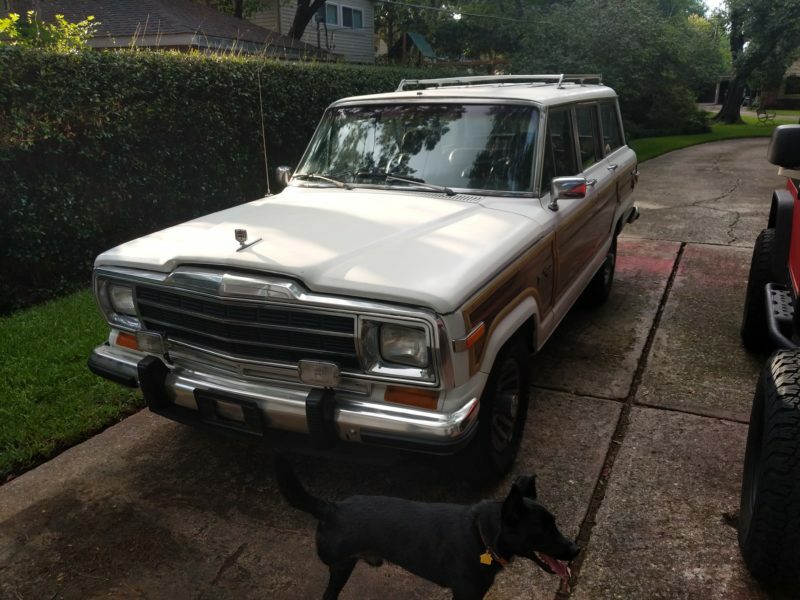 My long term plan with the Wagoneer is to not 100% restore it but just make it nice. Fix all the problems, modernize the electronics, and swap in a LQ4 V8 engine and 4/5 speed automatic transmission. To get there however will take time. My short term goal is to turn it into a decent daily driver and rock the AMC 360 engine while I fix the major problems and figure out how much I want to restore. Here is the “short term” list. Sounds like a lot but afterwards it should be a nice daily. The Wagoneer already rides like your sofa going 70mph down the freeway so it can only get better!